The Crown Tree Surgeons ltd staff are trained and qualified to NPTC standards with £10,000,000 public liability insurance you can have confidence in our service delivery. 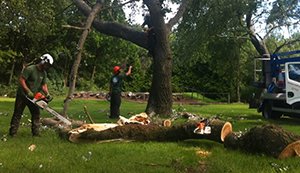 Delivering quality tree work at very competitive prices, on time, efficiently and with the utmost professionalism. Using the latest tree surgery equipment and arboricultural techniques, our experienced, highly skilled team of tree surgeons and grounds people are trained to the best standards, therefore ensuring the quality of our work meets our customers’ requirements fully and to their expectation. All aspects of tree work undertaken by Crown Tree can be arranged outside office hours and weekends for no extra charge as we understand the importance of minimizing disruption to the workplace.